Home field advantage didn’t amount to much at the Capcom Cup on Saturday. 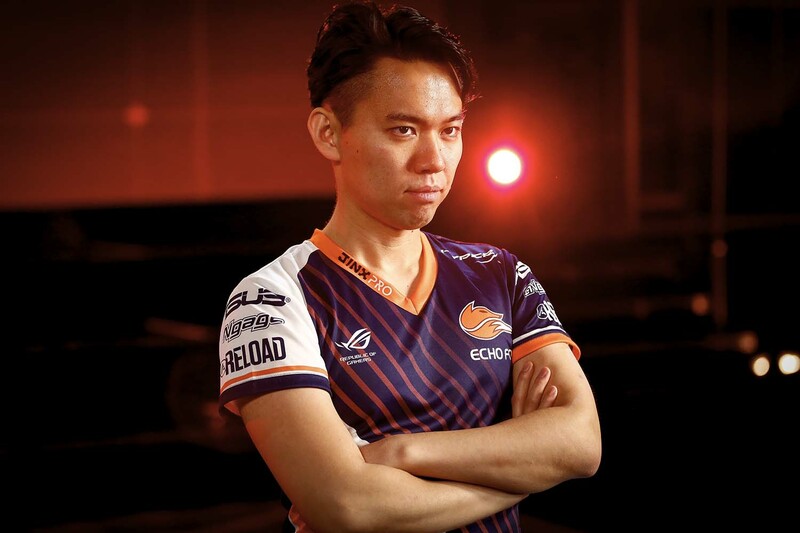 Reigning Street Fighter V Evo champion Taniguchi “Tokido” Hajime and former two-time Evo champion Umehara Daigo led a dominant Japanese contingent at the Capcom Cup in Anaheim, California on Saturday. Tokido and Daigo were two of six Japanese players who survived day one action to reach Sunday’s top eight session. Tokido will be joined in one winners semifinal by Atsushi “Yukadon” Fujimura, while Kumada “Itabashi Zangief” Hiromiki will compete in the other winners semifinal. On the losers side, Daigo will face Nakayama “Moke” Naoki in one round-of-eight match. Nemoto “Nemo” Naoki, who won a last chance qualifier on Friday to reach the main event, will be featured in the other losers bracket match. The Japanese contingent will be joined in Sunday’s finals by Saul “MenaRD” Mena of the Dominican Republic, who will face Yukadon in the winners bracket, and Benjamin “Problem X” Simon of the United Kingdom, who will face Nemo. MenaRD may have made the most impressive run of the day. The Dominican star is just 18 years old, but he played well beyond his years on Saturday. He defeated former Evo champion Ho Kun Xian and former Capcom Cup champion Inoue “Kazunoko” Ryota to reach the last 16 of the tournament. Once there, he knocked off Daigo, who has been winning tournaments longer than MenaRD has been alive. Problem X reached Sunday’s finals thanks to an impressive losers bracket run. After falling to Itabashi Zangief in the second round, Problem X responded by knocking off Evo finalist Kishida “Go1” Goichi, then defeating former Evo champions Ai “Fuudo” Keita and Olivier “Luffy” Hay. But all eyes will be on Tokido on Sunday. The reigning Evo champion entered the event as the second seed and was a popular pick to win it all. He looked every bit the favorite on Saturday, knocking off Ricki Ortiz, Tsunehori “Gachikun” Kanamori, and Takahashi “Bonchan” Masato, all by 3-1 margins. North America will be the only one of the Capcom Pro Tour’s four regions to not have a representative in Sunday’s finals. Six players from the United States qualified for the Capcom Cup, but all fell on Saturday. Overall top seed Victor “Punk” Woodley came the closest to representing the region on Sunday, but he was dealt a tough hand. He lost his opening round match against Nemo, but rebounded with wins over Thomas “Brolynho” Proença, Hayashi “Mago” Kenryo, and Ho Kun Xian. In the end, Punk fell to fellow young star Moke and was eliminated in a tie for ninth place. It was a rough day all around for the host nation. Of the six Americans in the field, only Darryl “Snake Eyez” Lewis won his opening round match. By the time the field had been narrowed to 16, just two Americans remained—Gustavo “801 Strider” Romero, who tied for 13th, and co-ninth-place finisher Punk. Those who remain will have plenty to fight for on Sunday. Over $360,000 will be split among the eight finalists. The winner will take home an estimated $250,000, which will place him atop the list of biggest prize winners in fighting game history. Sunday’s finals will take place at the PlayStation Experience and are set to kick off at 6pm ET. The event will be streamed on the Capcom Fighters’ Twitch channel. Capcom is expected to make an announcement regarding the upcoming update to the game, Street Fighter V: Arcade Edition, at some point during tomorrow’s broadcast.